This may be the only night the Raptors have this dilemma. It takes 48 hours to clear waivers so, while it'll be tight, Lin could theoretically sign and be available for Wednesday's game vs Washington. The next game would be 9 days later after the All-Star Break against San Antonio Spurs at home on Feb 22, 2019. First! Just watched the pregame intro. They did not say anything about JLin. Maybe not allowed to. Toronto is an ideal place for Lin because there are a lot of Lin fans there. Raptors, please win this one! Yes. Just went through their roster. Surprisingly, they are pretty thin in guards! Wow, the arena is packed. Yes, and they are actually cheering for the Home Team to WIN the Game, instead of TANKING for a High Draft Pick. Toronto please come back and beat the Nets! It’s Canada, huge Asian population. Lin needs to make sure this turns into a long term contract for next year. If only I had the money, Toronto would be a nice place to vacation and watch Lin at the same time. But Asians in North America are crazy about basketball, tickets will be tough to get. Ibaka, Siakam, Kahwi as the bigs can really dominate on the inside. With Green and Lin to be 3pt-threat, it will free up the bigs even more. Kahwi’s dunk attempt still got friendly roll-in even after being fouled. Amazing! What a great game .. Nets shooting 3s light out but Raptors came back being down 122-125 to retake the lead 127-125 with Danny Green’s 3 and Kahwi turnaround bankshot! Do you guys think Lin will play on Wednesday? Guyes, where can I get discounted tickets? That was a difficult day for everyone — emotions were high. Have you tried stubhub or ticketmaster? they don’t have discounted tickets, right? I think lots of kids gave me a website and I bought some Nets discounted tickets there. You will be heart broken if Lin doesn’t get play time in TOR. Pre-Exist must be a HAPPY CAMPER right now! LOL! Have you tried NBA.com? You know, that’s where the “Andersons get their tickets”. Never sold-out. Never fake. Don’t know if the cost is reasonable, but at least it won’t be a rip-off. Too soon, haha. Wait until they play a few games together. Wonder if Kawhi remembers how he tried to guard Lin and prevent the 23 point comeback against the Spurs. Won’t remember a normal game. But that was the biggest against the Spurs history. Nice find. This is so funny! Everybody getting on the Lin bandwagon. Why not? It will be fun! This was Kwahi’s winning shot. Mid-range jumper from the elbow. Is it coincidence that it’s Lin’s favorite spot for that shot too? Okay, I know. Stretching. Can’t wait for Lin highlights from Speed of Lin and christinecheng60 again! So, Lin signs with Raptors. Lin’s new team Raptors win. By beating the Nets. Hornets also lost. This is a 45 minute podcast. “The Game of Life”. Haven’t had time to listen. Bookmark it for All-Star Break. JLin interview by his good friend and supporter David Nurse. Nephew of Raptors coach Nick Nurse. The upload date was Feb. 8th. After trade-deadline. 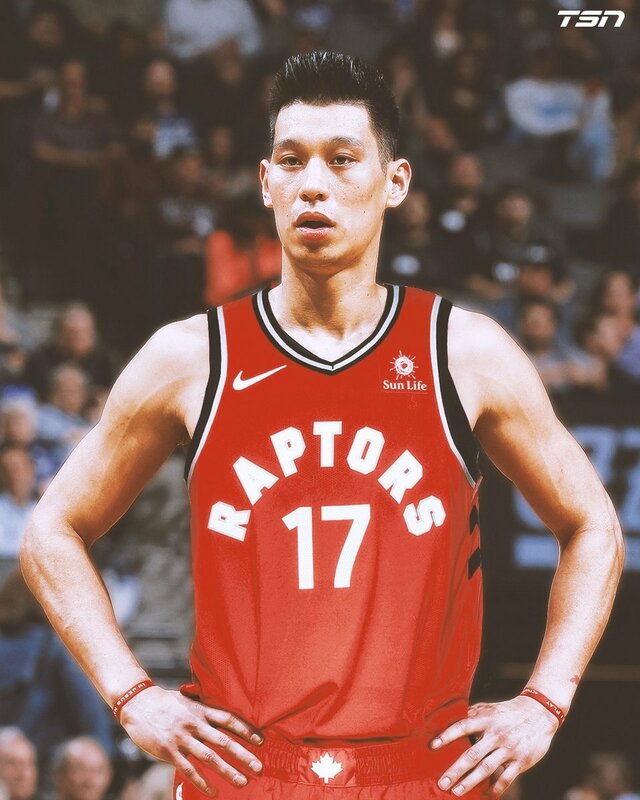 Maybe Lin was already negotiating with Raptors. Don’t know if Lin’s situation on Hawks was discussed. Hornets also didn’t get Gasol. I hope Hornets will miss playoffs again. It’s kinda a long scene, but it’s an iconic one, where Terry, a former boxer, tells his brother that had it not been for the fixed fight (meaning lose on purpose because he was instructed to), Terry’s prizefighting career would have bloomed. “I coulda’ been somebody. I coulda’ been a contender” he laments. Jeremy Lin, you’re a contender now. Every minute is about winning now. Keep dreaming big, kid. Wow! Just read the news about Lin. WooHoooooooooooooo! from the 2nd last to the 2nd best in the East……… What a Journey!!!!! I don’t think it’s about money dorothy. From 2nd unit to 2nd backup PG….What a gamble!!!! Why didn’t you wake me up for the Lin to Raptors news. Didnt want you to jinx it! Gasol will have a break out 2nd half with Lin providing pin point passes deep in post for easy and 1’s! It’s not just about the rest of this season. It’s also about NEXT CONTRACT. YES, GREAT highlights – GREAT summary! Really enjoyed this. This one needs to be bookmarked. Actually even missing a few of the tricky passes in the open court. And all the charges he took. This really underscores Lin’s fantastic offensive arsenal. Transition 3’s, off the dribble 3’s. Dribble drives, attacking the rim. Blow-bys. Drawing fouls. Reverse layups. Goes left. Hesitation moves. Crossovers and step-backs. Mid-range jumpers. Floaters. Court vision, fantastic passes in transition. Lobs. And his defense. Blocks. Steals. AND THIS IS ALL COMING BACK FROM MAJOR INJURY! I don’t want to hear any more about Lin needs to do this, Lin needs to improve that. No, he’s not perfect. 3 Pt% could be better. Less turnovers would be nice. BUT…..
IT’S ALL THERE in this reel! Hope to see it ALL unleashed and used properly! I’m the biggest slacker there is! Haha! Still haven’t listened to this yet. Thanks for the summary – saved me time – LOL. So weird to be looking forward to playoffs again! If the playoffs started today. Raptors would play the Hornets in the first round. Then the winner of Pacers-Nets in the second round. Okay, I know. Chill, let’s not get carried away yet. 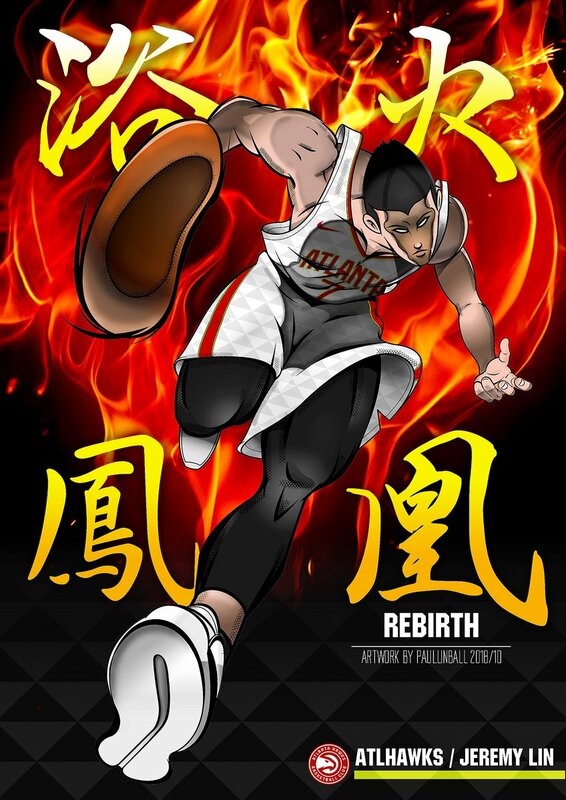 Just stay healthy Lin and you will get there! But some comments from his later replies show that he doubts Lin’s defense. Not a good sign. Good to see Lin fans posting comments from Clifford and Atkinson about Lin’s underrated defense. Hope he does more learning about Lin. Fun fact, 6 degrees of separation again. Leo’s son Andy Rautins was drafted 38th by the Knicks in 2010, along with Landry Fields (39th). The same year that Lin was UNdrafted. But the Knicks traded him to the Mavs in Dec. 2011. Right before Lin got picked up by the Knicks. Andy is now playing overseas. Some of us might remember that the Knicks also refused to match Landry’s RFA offer sheet from the Raptors. So, Landry was also a Raptor, until forced to retire because of injuries. Anyway, the point of this TMI. LIN IS STILL HERE. LIN HAS OVERCOME ADVERSITY. LIN IS THE ULTIMATE SURVIVOR. Hope he will also finally get the accolades that he deserves. Jeremy Lin – January Full Highlights – All Made Field Goals for the Month of January 2019 – by SNTV. Lin effect. Fans in Taiwan must be happy! Also Gary Chen’s artwork. Very talented guy. where is he right now….Ball?